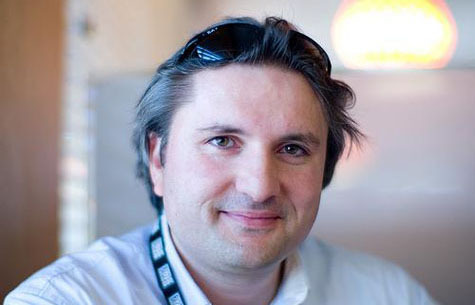 SoftTech, the venture capital firm headed up by Jeff Clavier, is officially bulking up the “micro-VC” space to enter the investment world’s big leagues. The firm has closed investment on its third fund, Fund III, at $55 million — that’s more than triple the size of SoftTech’s Fund II, which had $15 million to allocate to startups. “Around mid-2010 I started thinking about Fund III should be, and I decided it was time for me to scale on two sides. One was on the size of fund, and the other was on SoftTech as an organization. I’ve essentially done everything since 2004 on my own, and I’ve closed close to 90 investments on my own. It was time for me to really bring a team together to really take advantage of the position I had built in the ecosystem. “We’ll invest in 60 to 65 companies, with roughly $400,000 a piece on average. $25 million of the total new fund will be put towards the initial bite in these companies, then we reserve another $25 million to $30 million to participate in a select number of the follow-on rounds. We really think the value we can create in that Series B round is very interesting. With Fund III, SoftTech is moving well beyond the micro-VC strategy that typified its earlier funds’ investments. Clavier says he will continue to concentrate on his traditional areas of expertise — mobile services and infrastructure and consumer internet and e-commerce companies — but startups will have to prove themselves as worthy in a much more serious way to match the bigger investment size. Softtech Yazilim Teknolojileri Arastirma Gelistirme ve Pazarlama Ticaret A.S.
Great piece Colleen, thank you so much. Hi Jeff, i would love to connect, I have something to that I think will help you and your fund. Our Crowdfunding platform is focused on investors, and angel/MicroVC partnerships for crowd-co-fund.